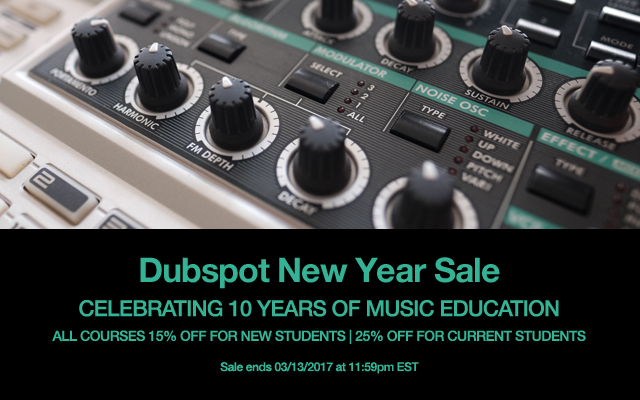 Dubspot offers the essential knowledge to transform your musical ideas into new creative heights through our many extensive programs. All course are 15% off for new students and 25% off for returning students. Sale ends Tuesday, March 13th at midnight. Enroll Today!